Maddy left Havenbury Magna, where she used to be a student, without her degree with the plan never to return again. However, when Patrick, the main father figure in her life, has to be admitted to the hospital because of a heart attack she decides to push her fears aside and go back. Patrick runs the local pub and someone needs to take over to make sure he won't lose his income. Maddy thinks she can do it, but being in the place that gives her nightmares proves to be hard and confronting. Will she be able to support Patrick without falling apart before he returns? Ben lives and works in Havenbury Magna. He's an ex-army psychologist specialized in traumas. When he meets Maddy she immediately piques his interest, both personally and professionally. Maddy has gone through something terrible and Ben wants to help her with the emotional turmoil she keeps finding herself in ever since her return. He's also struggling with the feelings he starts to develop for her. His profession, family secrets and wrong timing are standing in their way. What will happen when everything that has been hidden for many years comes to the surface, will Maddy leave Havenbury Magna behind again? The Homecoming is a fantastic multilayered story. I was immediately intrigued by Maddy. She's a strong and intelligent woman. She's loving, caring and won't hesitate to help others. She doesn't mind paying a price and no matter what it costs her she will do it, if it means she can be there for someone else. I loved her big heart, her wonderful sweet personality and her ability to love unconditionally. She's an amazing woman with a complex past and this captivated me from beginning to end. I especially loved the development of the connection Maddy has with Ben. He's a kind and gentle man and his goodness radiates off the pages, which is something I really enjoyed. The Homecoming has incredibly special main characters and they are making the story a true joy to read. Rosie Howard has a heartwarming descriptive writing style. She makes her setting and characters come to life in a terrific vivid way. I liked the cosyness of the pub and fell in love with the creativity of Maddy's friends. The Homecoming has plenty of fascinating twists and turns and Rosie Howard skillfully kept me on the edge of my seat because of the secrets she's writing about. I was anxious to find out as much as possible and couldn't stop reading. The Homecoming is mesmerizing, compelling and very romantic. I highly recommend this delightful book. If you love romantic stories set in small towns about family, friendships and secrets you should definitely read The Homecoming. I wrote my first book when I was five. Of course it was abysmal. I vaguely remember something about a squirrel and a big red apple. If anybody’s interested I’m pretty sure my mum still has it in the attic somewhere. There was a long gap in my writing career while I grew up, which took a long time and is arguably a work in progress. After studying classical music, for reasons that now escape me, I took up public relations, campaigning and political lobbying, with a bit of freelance journalism thrown in. This is brilliant because it all involves writing, although my favourite form of writing – making stuff up – is sadly frowned upon in public relations. I take an anthropological interest in family, friends and life in our West Sussex village (think, The Archers crossed with Twin Peaks). This provides lots of entertaining material although any resemblance between my fictional characters and real life never ceases to amaze me – life imitating art, and all that… so, please don’t sue. My first novel ‘Never Marry a Politician’ was shortlisted from 3,500 entries in the 2014 Good Housekeeping/Orion Novel Writing Competition and was awarded joint second place before being published by award winning independent publishers Choc Lit. 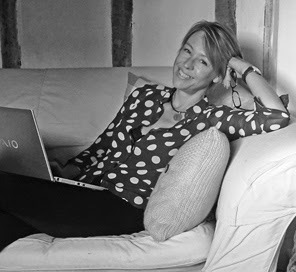 I am currently working on a series of books based in Sussex and am thrilled to be represented by Julia Silk at MBA Literary Agency. We all have our safe place, don’t we? The imaginary world in our heads where we retreat to when we want to escape for a while? No? Just me then…! Often, though, that is what books are for aren’t they? We rely on the writer to provide us with an engaging and absorbing world we can escape to and leave our own behind for a while. The idea of creating the Havenbury series came out of a series of conversations I had with my agent Julia Silk at MBA Literary Agency. We were playing with ideas around the kind of material I wanted to write – something escapist, warm, witty and comforting - beautiful rural settings populated with amusing and attractive characters that readers would want to spend time with – and we realised that it made sense to link all the story ideas I had by locating them in the same place, so readers could lock on, and know what they were getting in subsequent books. I was going through a pretty tough period at the time; It was the usual sorts of things - illness, death, conflict, loss, teenagers… just the stuff life throws at you - but lots, and seemingly all at once. We were joking that writing was keeping me sane because it allowed me to escape into my own ‘safe place’. Havenbury is a rural Sussex community remarkably like my own, where bad things happened, sure, but the goodies win, the baddies lose, and it is all okay in the end. 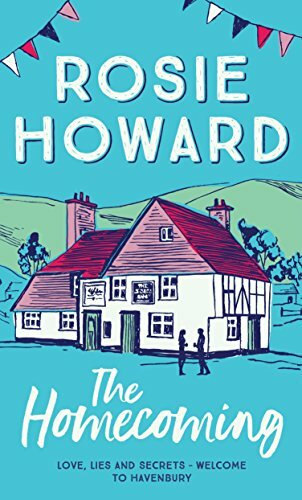 My characters go through the mill alright – poor Maddy, in ‘The Homecoming’ has to face some difficult stuff, and so does her mother Helen - but I definitely don’t write misery memoirs and readers can be assured there will always be a properly realised and satisfying happy ending in all my stories. I promise that, faithfully. Havenbury is extremely vivid in my mind; the Sussex Downs, the houses huddled around the village duck pond in Havenbury Green, the Manor House and the cricket pitch in Little Havenbury, the shops along the high street in Havenbury Magna, and even the pebbly beaches where the river Haven meets the sea… The communities and all the fabulous characters feel like they are just there, available to me, when I turn to write. I live in a small village myself and the intrigue and high drama has to be seen to be believed so I don’t lack ideas for stories (although obviously I have to be discreet to protect the guilty). I enjoy living in a village community near a market-town and Havenbury is unashamedly drawn from my own life. Living in the countryside keeps me in close contact with nature too, and I believe writing the seasons into my books helps to ground them and add to the immersive experience of the reader. My characters thread themselves into each other’s tales, taking turns to take centre stage, so if a reader likes a character in one book they may well see more of them either as protagonist or perhaps just carrying a secondary storyline in another. This works well for me as a writer because trying to create a real sense of place in a series of unconnected stories would – I imagine – be more difficult. So, back in I go… I am happy in my Havenbury world. I hope your readers will join me and will let me know what they think of it too. One very lucky reader of With Love for Books will receive a digital copy of The Homecoming by Rosie Howard. The Homecoming sounds like a charming new series set in a cosy town with a lovely cast of characters and an interesting premise. Thanks Solange, I'm glad you're intrigued - I do hope you'll dip in and get back to me with your thoughts. this looks like a really great read! Great post! Thank you for sharing it. That's an amazing review and guest post!!!. I strongly feel the protagonist. sometimes it becomes very difficult to get out of our safe zone but when it comes to our loved ones... The true test begins. Enjoyed reading about the creation of Havenbury. I love stories with several layers and this sounds very heartwarming! This sounds like such a heartfelt, emotional, and multilayered story full of twists and turns. I feel as though the book's cover kind of belies its contents, or at the very least veils them in a way. And I wonder, What might this mean...? I used to live in one of those little Sussex Downs villages, duck pond, endless cricket matches, a Red Lion pub and all and always wondered what went on behind the seemingly idyllic scenes. Thanks Rosie! A lovely guest post and Havenbury sounds like a pleasant place to spend some time. I loved the " I have to be discreet to protect the guilty" comment and had a little chuckle at that.